Genuine OEM Lanier Toner Cartridge, Cyan, High Capacity 5,000 page yield. Lanier part number: Lanier 407896. Color Laser Toner Cartridge compatible with Lanier SP C340DN. Genuine OEM Lanier Toner Cartridge, Cyan, 2,500 page yield. Lanier part number: Lanier 406345. Color Laser Toner Cartridge compatible with Lanier SP C231SF, SP C232SF, SP C242SF, SP C320DN. Genuine OEM Lanier Toner Cartridge, Magenta, 2,500 page yield. Lanier part number: Lanier 406346. Color Laser Toner Cartridge compatible with Lanier SP C231SF, SP C232SF, SP C242SF, SP C320DN. Genuine OEM Lanier Toner Cartridge, Magenta, High Capacity 5,000 page yield. Lanier part number: Lanier 407897. Color Laser Toner Cartridge compatible with Lanier SP C340DN. Genuine OEM Lanier Toner Cartridge, Yellow, 2,500 page yield. Lanier part number: Lanier 406347. Color Laser Toner Cartridge compatible with Lanier SP C231SF, SP C232SF, SP C242SF, SP C320DN. Genuine OEM Lanier Toner Cartridge, Yellow, High Capacity 5,000 page yield. Lanier part number: Lanier 407898. Color Laser Toner Cartridge compatible with Lanier SP C340DN. Genuine OEM Lanier Toner Cartridge, Black, 2,500 page yield. Lanier part number: Lanier 406344. Laser Toner Cartridge compatible with Lanier SP C231SF, SP C232SF, SP C242SF, SP C320DN. Genuine OEM Lanier Toner Cartridge, Black, High Capacity 5,000 page yield. Lanier part number: Lanier 407895. 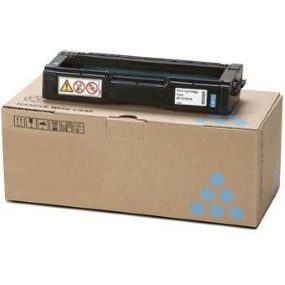 Laser Toner Cartridge compatible with Lanier SP C340DN.